Le Domaine Tarbouriech, the world’s first oyster-centric hotel and spa, is like an oyster version of Disneyland. At Le St Barth’, the tasting room hovering over the harvest site, diners dangle their legs from stools along a wooden dock. Set in a renovated oyster farmer’s house (called a “mas” instead of “maison”), the solar-powered shellfish shack more resembles something you’d see on the shores of a French island like Martinique than the many Michelin-starred spots boasting the Tarbouriech brand. The menu is simple and only lists two options: mussels and oysters, served raw or simmered in Sabine Tarbouriech’s secret homemade sauce (a recipe she refuses to reveal). And instead of Champagne, glasses of crisp, citrusy Picpoul Blanc (a native varietal grown in the surrounding vineyards that’s so high in acidity, it’s nicknamed “lip stinger”) accompany the oysters, helping wash them down. In June, the family took its tasting room concept one step further with the debut of Le Domaine Tarbouriech, a set of fifteen suites sitting alongside a spa— the only in the world—devoted entirely to an oyster-themed method dubbed "L’Ostreathérapie," which incorporates the healing properties of oysters into treatments. When Florent first stumbled upon the site, just a five-minute drive down the coast from his farm, “it was in ruins and in such an awful state,” he says. Two barns dating back to the 13th century sat side-by-side. One was converted in the 18th century into a manor home for wealthy local vignerons, or winemakers, modeled after Montpellier’s “follies,” country mansions constructed for rich merchants. 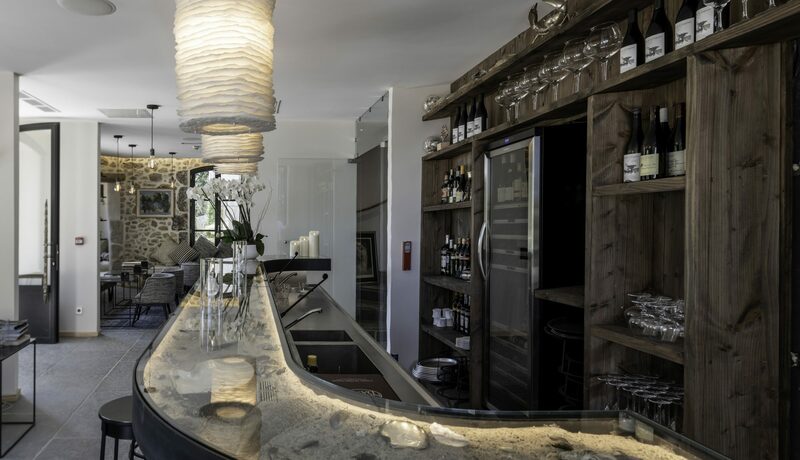 The concept is fitting since Florent and his family expanded in the same fashion as the vignerons, transforming a small oyster farm into a big-name brand—and bought the manor to go along with it. During the two-year restoration project, artisans laid mosaic and stonemasons renovated the ancient structure, brick by brick. A master roofer thatched the barn’s 17th-century roof with sagne, Camargue reed, using a thousand-year-old technique, while craftsmen restored the weathervane and foraged for recycled materials from the sea, designing a nest of chestnut wooden poles protruding from the manor’s tower. Oysters are present in everything from the artwork (a panorama of the farm hangs in the spa’s relaxation room) to the shell-lined pathways and oyster bar itself—whose curved glass countertop is studded with polished oyster shells. Wood from the oyster farm forms room dividers and headboards in the suites, while furniture—75 percent of which is locally designed and built—is crafted from recycled metal cranes that once hoisted oyster cages. Working with the nearby University of Montpellier, La Maison Tarbouriech has also developed an organic range of food supplements and cosmetics derived from their special pink oysters. To Florent, oyster flesh is as much a “superfood” as spirulina—naturally rich in energy, protein, and antioxidants. Just as Korean cosmetics incorporate snail serum for its anti-aging and hydration benefits, nacre (mother of pearl) serves as a less slimy version that’s a millennia-old form of Chinese medicine. After an oyster dégustation at the manor house’s restaurant, La Folie (where dinner started with an oyster Bloody Mary shot and ended with a spongy, limoncello-scented baba cake served with a dollop of oyster ice cream), I crawled out of bed and went to get my morning dose of superfoods another way—at the spa. 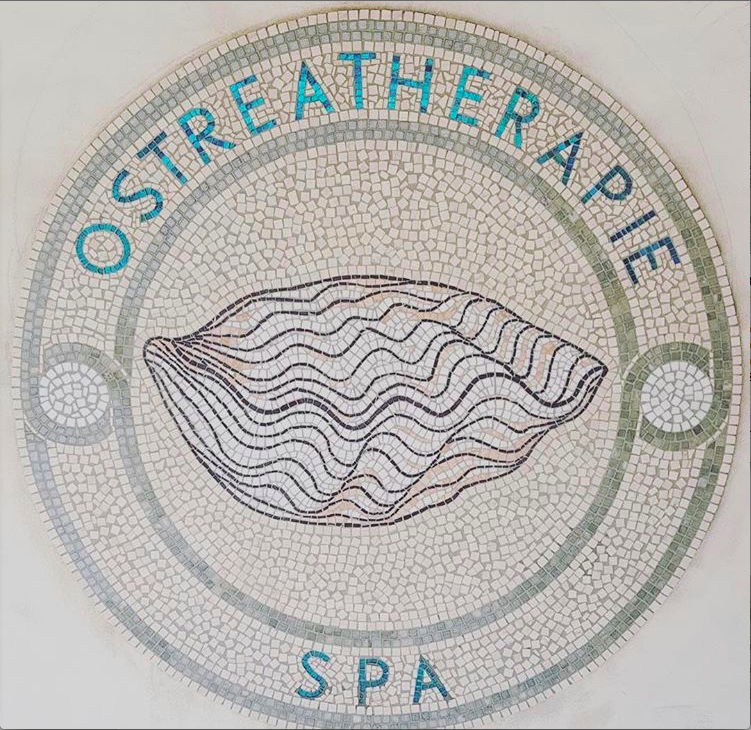 Down in the former wine cellar vats, my spa therapist cleansed my feet in a basin shaped like—you guessed it—an oyster shell, before slathering a pearl-based serum in wavelike strokes, massaging my face. Florent has worked with a number of labs to perfect the formula for the cosmetics line, and plans on opening his own lab on the edge of the lagoon this fall. In Disney-like fashion, he has already expanded his oyster empire to lagoons in Italy, Spain, Morocco, and Japan—and the spa concept is next.